Which Among the Many Newco Coffee Makers Would Be Great for Your Office? 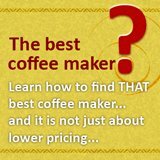 If you are asking this question, chances are that you are evaluating if a Newco Coffee Maker would be the best choice for your office coffee supply. While there are a lot of high quality commercial coffee makers out there, such as those from Bloomfield Coffee, Fetco Cofee, and Wilbur Curtis Coffee, among others, considering a Newco coffee maker for your office is a wise choice. Newco features many drip coffee machines, such as the AK series, the ACE series, and the SmartCup series, among others. But for office use, I would recommend that you look into the Newco OCS line of coffee makers. OCS stands for Office Coffee System, in which each coffee maker is designed specifically for office use. These newco coffee makers are made to brew from medium to large offices. The Newco OCS8 is more of a “back to basics coffee maker” that possesses simple features while still being able to brew great tasting cups of coffee. It is very durable, being made of chrome plated brass that allows it to last a very long time. 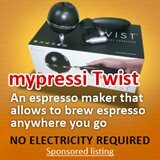 It brews coffee through a stainless steel press mechanism that is well known for the high quality of coffee that it is able to produce. The Newco OCS8 features a patented brew through lid system and also a backup pour over feature. The OCS8 is designed to retain the coffee oils that are extracted from the coffee grounds during the brewing process, allowing it to produce full-bodied and flavorful coffee. 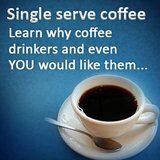 It brews 8 cups or 32 ounces of coffee into a glass carafe, which is very easy to handle and clean. Its other features include a swing out filter basket for easy access for inserting or removing coffee filters, and visible level indicators in the water reservoir. The Newco OCS12 is definitely a step up from the OCS8. While it possesses the same features that the OCS8 offers, it also boasts additional features. For instance, the OCS12 is made of high quality polycarbonate construction that allows it to last a very long time and is guaranteed to be lead-free. It can also brew a larger quantity of coffee. Instead of 8 cups, it can brew 12 cups of coffee into a 12 cup glass carafe. While it also possesses the same patented brew through lid system, backup pour over feature, visible level indicators in the water reservoir, and a swing out filter basket, the OCS12 boasts additional features that make it more convenient and easier to use. It makes an audible tone to let you know that the brewing process has finished. Furthermore, the OCS12 boasts an automatic shutoff feature, which activates once it has finished brewing. Its additional features also include a more convenient front panel with a brew and cancel button for easier usage, and a brewing light indicator, that helps you keep track of the brewing cycle. 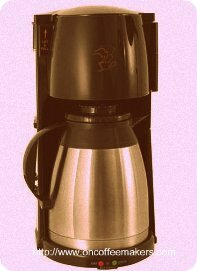 The OCS12A is an improved version of the OCS12, and it can be easily seen in its 12 cup thermal carafe. Compared to the glass carafe that the OCS12 uses, the 12 cup thermal carafe of the OCS12A keeps coffee at the optimal serving temperature for an extended period of time, reaching up to four hours after the coffee has been brewed. The OCS12A is also made of the same lead-free high quality polycarbonate construction and also possesses the same features of the OCS12, such as the patented brew through lid system, backup pour over feature, the swing out filter basket, and the seamless brewing cycle. The OCS12A also makes an audible tone once it has finished its brewing cycle, and also has the convenient front panel with very intuitive controls that make it very simple to use. Overall, choosing among the OCS line of Newco coffee makers for your office is highly recommended. 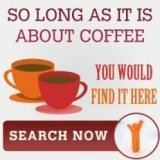 These coffee makers not only brew great tasting cups of coffee that you would most definitely enjoy, but these are also very durable and very easy to use.